The brand adds that it is critical to translate how this deep desire will translate into a significant net-positive effect. Geoff Shaffer, VP of Global Brand Marketing explained, “As a world-leading cycling company and cyclists ourselves, we see our power to leverage the truly positive aspects of cycling, combined with how we approach the business of cycling. To bring that power to life, inspired by our origins and the concept that ‘oil-and-water don’t mix,’ we’re motivated to find proactive solutions to oil dependence. From there, the brand recognizes the real impact comes from what it does. Impactful examples include the industry’s first-ever effort to essentially ‘eliminate’ hangtags. Effective from January 2019 the brand will only attach one card on its products, at the smallest size that can still be recycled, to capture critical codes/pricing information. The new hangtags use 19,400 lbs less paper, saving 165 trees, 68,082 gallons of water and 4,503 gallons of oil annually. In addition, all new polybag packaging will shift to 100% recycled plastic, which can be recycled again, further reducing petroleum use. As an additional effort to reduce waste and provide stronger support for retailers, PEARL iZUMi will no longer print product catalogues. Starting with the spring 2019 season, sales representatives and dealers have access to a fully-featured digital platform to help retailers make more informed purchasing decisions. The company notes that this will save 41 trees, 16,800 gallons of water, and 1,111 gallons of oil each season through the elimination of paper alone. 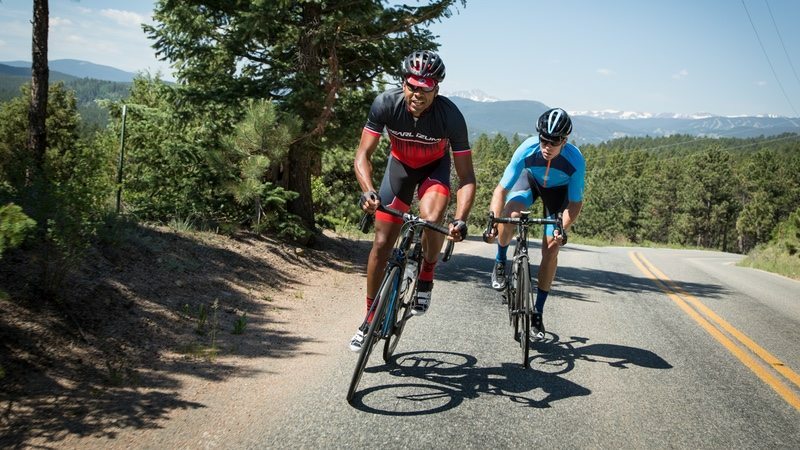 Notable product initiatives include a Renewal Workshop partnership to repair and resell PEARL iZUMi warranty returns, giving gently used products a second life instead of adding to landfill. In addition, new sustainable technical fabrics will be introduced for spring 2019, made from responsibly-sourced merino and Reprieve recycled polyester. By 2020, 30% of the PEARL iZUMi line will be made of recycled materials. And by 2022, the brand plans 90% of the total product line will be made from recycled, renewable or organic materials. To monitor progress against sustainability goals, PEARL iZUMi is using a standardized framework called The Higg Index, which is an industry‐standard sustainability index for apparel and footwear that was developed by the Outdoor Industry Association (OIA) and the Sustainable Apparel Coalition in July 2012. The brand adopted this process in 2015 after witnessing the success of brands within other industries – such as outdoor – have had in achieving better sustainability; and PEARL iZUMi claims that it is the first-and-only cycling apparel or footwear brand reporting on this index. These latest initiatives are seen as a continuation of PEARL iZUMi’s long-standing commitment to the environment. The PEARL iZUMi headquarters, built in 2013 and located in Louisville, Colorado, was designed to integrate and celebrate the natural landscape of Colorado. It utilizes natural lighting, solar orientation and natural ventilation to ‘create a more sustainable, comfortable, and inspiring environment’. This spring, PEARL iZUMi earned Gold recognition from the City of Louisville, Colorado, in the Louisville Green Business Program and Partners for a Clean Environment (PACE). “We recently went through a deep and heartfelt process to uncover our core company values,” said Sword. “Opinions were solicited from all corners of the business and we heard consistently that a sustainable future is an absolutely critical part of our DNA. This new Social Purpose statement will galvanize us and accelerate the great work that is already underway.